Recently, an article was published in a high profile science journal which criticized women scientists for spending time sharing their science via "cute selfies" on social media (Instagram, specifically). The article was mean spirited and bitter, but luckily, most of the science community clapped right back against the attack. You can read some wonderfully articulated responses to the issue on twitter (Samantha Yammine and Christine Liu both provide 🔥 commentary), and a response article by fellow scientist Gabi Serrato-Marks on the Massive news site. Appropriately enough, the main target of the original article, Samantha Yammine, (yes - the author, a fellow woman in STEM at the same university, chose to personally call out and criticize her colleague) is actually in the process of producing a peer review article showing how Instagram affects perception of male and female scientists (we'll post a link to that as soon as its out!). As a project that aims to make women in science visible, the Femmes of STEM stands in support of social media scientists. Whether they're on Instagram to share a photo of their research, to share a photo when they're feeling great, or to share a photo of when they're feeling great doing research, we're 💯percent behind them! Has this talk of women on Instagram got you wondering what women in STEM you should be following? 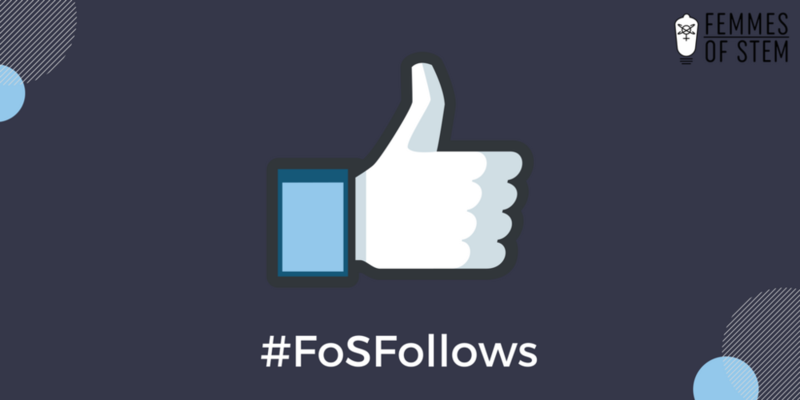 Check out this (growing) list of our favorite instagrammers for this edition of #FoSfollows - and send us your suggestions too!